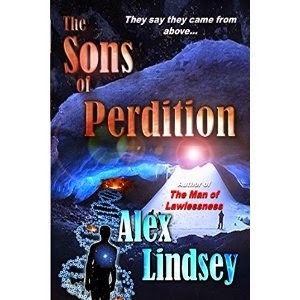 Alex Lindsey's "The Sons of Perdition" is a novel that uses elements from scifi, suspense, and Biblical stories to tell a story of the supernatural interacting with humanity. One of the strengths of the novel is its usage of varying perspectives. The reader is taken to multiple locations (from Antarctica to France) and different points in time to give you a complete backstory on the situation. The author, Alex Lindsey, does a great job writing characters that are dynamic and developed. My favorite is the tenacious Kia. The plot is written so that there are plenty of twists and turns to keep you on your feet. I'd recommend this book to anyone who wants an imaginative, adventurous story with a Biblical theme and scifi elements.